Clay Buchholz’ nightmare goes something like this: There’s a man on first base. After four pickoff throws, Clay finally nails him, and there’s a small celebration, and he looks back over, and the runner’s still there. For all the talk about Clay’s shortened time between pitches this offseason, he’s still crazed by runners at the cold corner. That’s fine, if he can repeat what he did last night — 7 innings, 1 run — for the season. Just don’t tell me it’s a new guy. We’ve seen this show before, and it’s a good show. He doesn’t possess otherworldly speed, but his instincts are so good that the end-product would be above-average in the majors right now. For the second game in a row, he tracked down what looked like a potential warm-air homer without huffing and puffing his way there; he just sort of materialized under the ball before bringing down as gingerly as catching an egg. Honeymoon periods always end, but they sure are fun while they last. Fearless prediction for tonight’s game: Jonny Gomes blasts the first homer of the season, and I win my poker game. 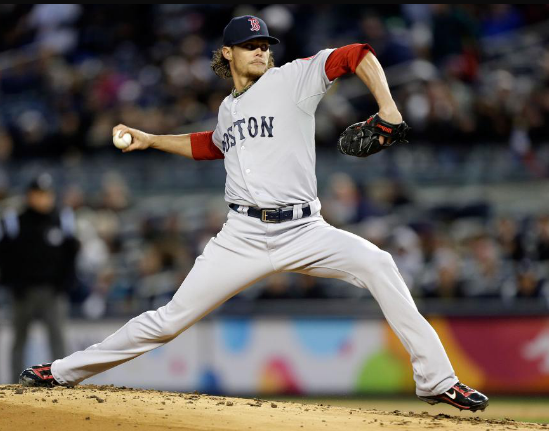 Tags: clay buchholz : dogs : president jackie bradley jr.
999 It is just a cologne created for men among the ages of 35 and fifty three, and may be worn through the daytime. I might progress to spend so long as quite possible chopping it up that has a fellow geek, many of the even while not advertising just about anything.